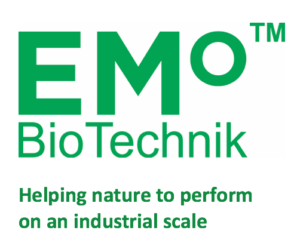 Emo BioTechnik products are used to support natural biological processes in sewage/wastewater treatment systems, contaminated water bodies (lagoon and ponds) and greywater systems. The range includes products for cleaning and the treatment of FOG’s (fats, oils and greases) and hydrocarbon treatments. 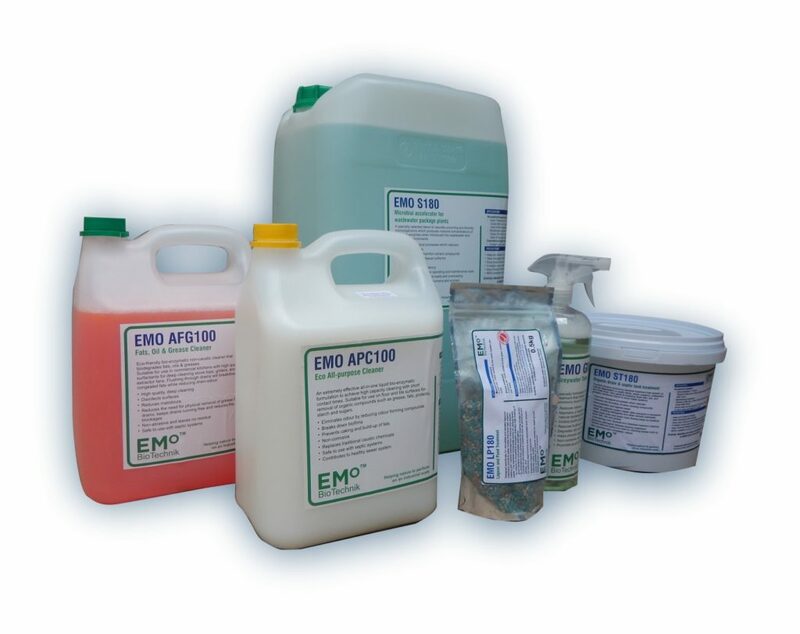 Emo BioTechnik environmentally friendly products consist of high concentrations of potent naturally occurring enzymes and bacteria that are biodegradable and contain no harmful chemicals. CONTACT US TO ARRANGE A LIMITED COST-SHARING TEST. Cost effective with lower operating and maintenance costs. Helps plant react to shock-loads and overloading. A potent enzyme producing bacterial treatment that speeds up natural degradation in septic tanks, septic systems, soakaways and drain lines. Very good at breaking down fats, oils, and greases commonly found to block these systems. Greatly reduces pump-out costs by reducing sludge build up. An intelligent concentrated microbial consortium specially selected to rapidly break down fats and grease in fat traps and drain lines.